Yunomi has provided me with Gyokuro Phoenix 2016 for the purposes of providing an honest review. 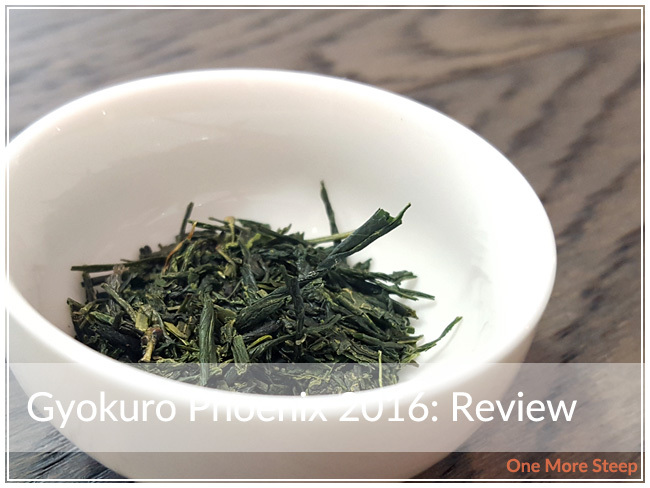 Gyokuro Phoenix 2016 comes from the Hattori Tea farm, from Uji, Kyoto. Yunomi describes this tea as a “heritage grade gyokuro”, which is from Akinobu Hattori, who is a tea farmer who has been farming gyokuro for fifty years. The family that runs Hattori Tea Farm has a 400 history as tea farmers (whoa!). Gyokuro Phoenix is a handpicked green tea that was harvested in the spring of 2016. This tea was aged by Yunomi. Gyokuro Phoenix has these beautiful dark green leaves, there’s some parts of it that almost have an emerald-like shimmer to them. The leaves have a light grassy aroma to it, and they actually look quite small. But given the fact that they were harvested in the spring (and who knows how early in the spring), that seems fairly appropriate. 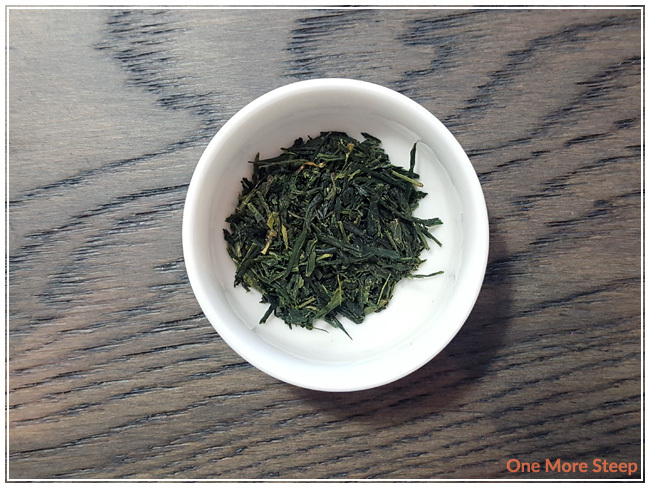 Yunomi recommends a series of steep times for this green tea. An initial steep for 60-80 seconds at 50°C (122°F), with a second steep for 15 seconds at 80°C (176°F) and a third steep for 45 seconds at 80°C (176°F). If you’ve been following me for a while, you know that while I do use a variable temperature kettle, I can’t change the temperature settings. What I did for the initial steep of Gyokuro Phoenix was heat the water at the lowest temperature setting 175°F (79°C) and allow it to cool for about 7 minutes and I steeped the tea leaves for 70 seconds. Gyokuro Phoenix steeps to a pale yellow. The aroma that I get from this green tea is primarily that of sweetness, with a bit of salty air to it. When I tasted it, I noted that it had a bit of sweetness and some grassy notes. 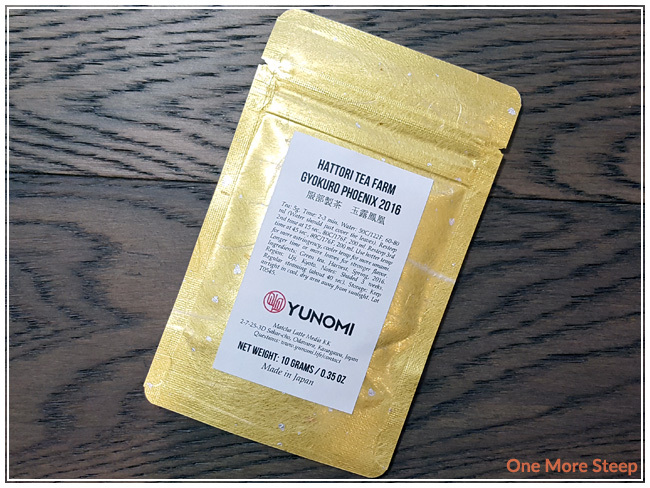 There was a pleasant amount of umami with each sip, which added a great mouthfeel to this tea. The grassy flavours made it taste very fresh, and felt very summery. 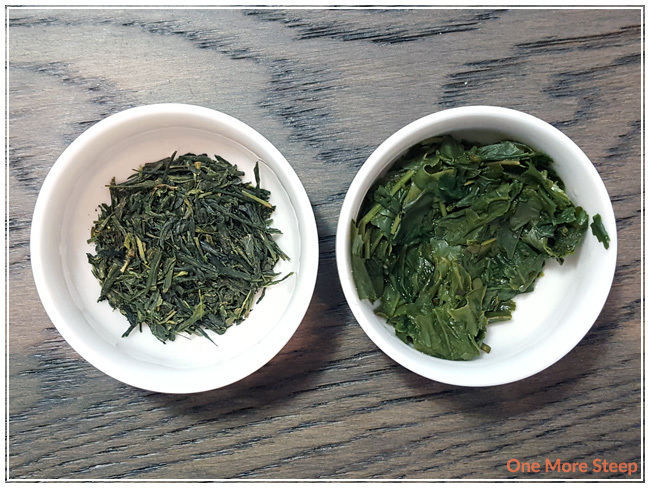 I resteeped Gyokuro Phoenix a total of three times – I did the 2nd and 3rd steep was per the suggested steep times and did the 4th steep at 60 seconds. 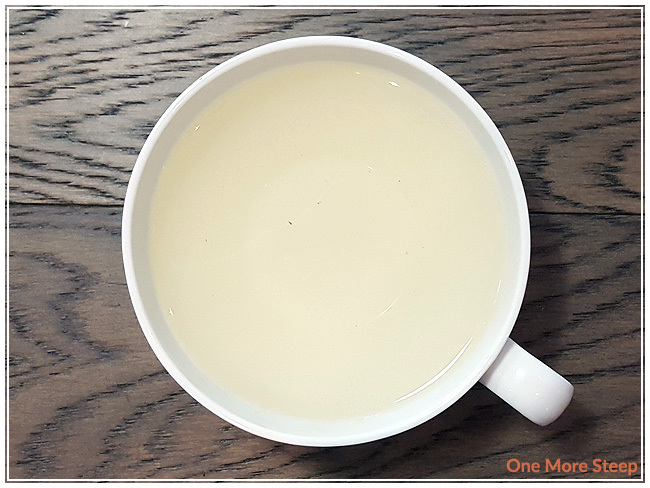 It did so well with each resteep, the flavours got stronger for the second steep, and started to wane for the third and fourth, but it was still a flavourful cup of tea. I loved Yunomi’s Gyokuro Phoenix 2016. This green tea was flavourful and just steeped well. It’s definitely one that I would say you would need to watch your water temperature and steeping times, especially with such a low recommended temperature and relatively short resteep times. There was happily no bitterness or astringency at the recommended temperature settings, so I think Yunomi was on the ball with this one.